Each year, I gather a some friends in either July or August for a Guy's RoadAbode RoadTrip. The playbook usually incorporates a few of the same elements year to year that seems to make the trip successful. Some solid local eats to try.. Some sights to check out. A short driving distance to a winery, brewery, distillery or perhaps a combination of a few to sample. A campground with a view, or beside water. If we can get them, both. Something cooked over a campfire. Over four days we take these elements and jumble them together, and usually what's created from this mix is a relaxing weekend with great friends. This year was no exception. My two travel companions for Guy's RoadTrip 2015 have traveled in RoadAbode before. Kev has been my best friend since high school, and Ed and I volunteer together at our church. Not until our guy trip together years ago did I realize Ed and Kev knew each other - and we all went to the same high school. They've been great as travel partners. Taking the day off from work, I left at 10:30am - picked up buddy Ed not far from RoadAbode Crews residence in Philadelphia. Then off to the Northwestern Suburbs to pickup buddy Kev. Kev is actually pretty close to where we store RoadAbode. A short ride to RoadAbode loaded our weekend gear, connected the Honda Fit behind with our towbar, and off we went. The traffic and weather were on our side - which made the ride up really easy and enjoyable. We pulled into Gettysburg Campground about 2:30pm, a half hour before check in. The staff was already waiting, ready to wave us in and give us instructions on the registration process. Made sure to use my Good Sam membership discount - something I've forgotten to do in the past. We got RoadAbode settled and leveled in her campsite, setup camp chairs, lit a campfire - and we're home! 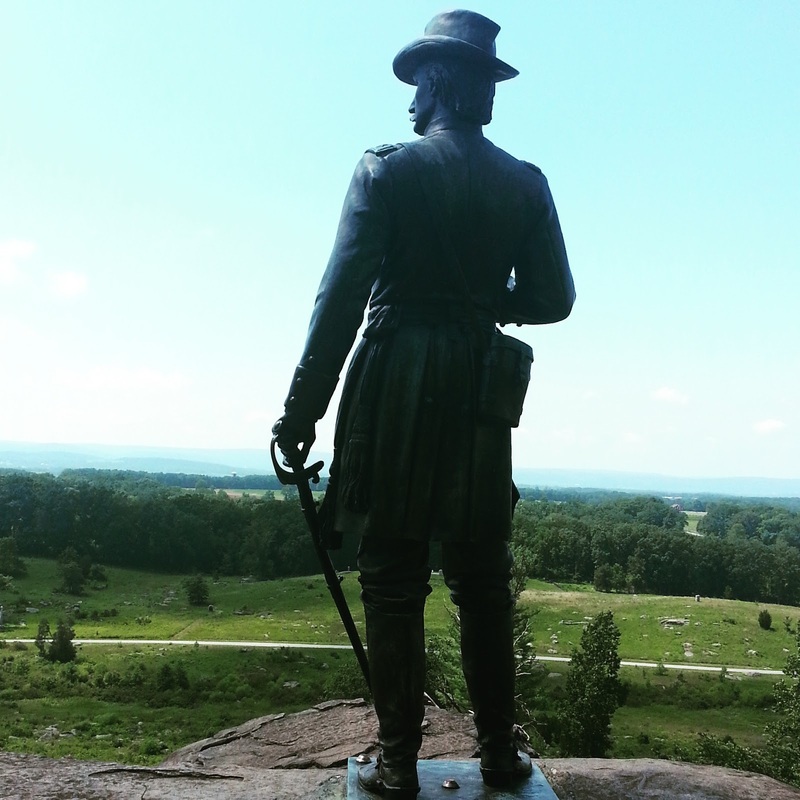 The campground is on the outskirts of the town of Gettysburg, but located so that you can easily get to the center of town, or the battlefields in 10 minutes or less. The campsite we had, site 183, backs up and has access to Marsh creek. While setting up our campsite, it was great to hear the creek babbling behind us, and be shaded in an almost picnic grove like setting. The main road is paved, but the campsite access roads are all well maintained gravel. The only item I wish was closer was the shower house - but its not an item that should deter someone from wanting to utilize this particular campsite. The town of Gettysburg is quaint, branching out from it's towne centre's roundabout to plenty of touristy activities pertaining to the Battle fought in 1863. There are battlefield tours offered by car, bus, scooter and horse drawn carriage. Boutiques specializing in battle memorabilia from both sides of the conflict are plentiful. Eateries from simple to elegant abound. Small, local museums offer a glimpse into what life was like during those three hot muggy days of July in 1863. There is more to do in Gettysburg than one can take in on a long weekend. Below I list the best of what we experienced in this historical place. 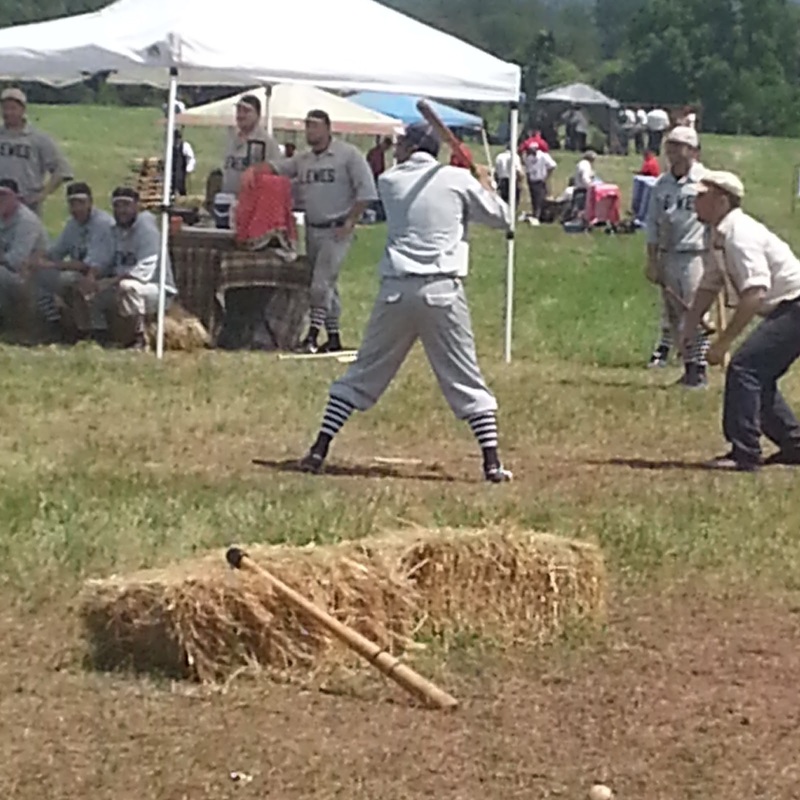 "Olde Timey" Baseball Exposition we found! The movie, A New Birth of Freedom, is narrated by Morgan Freeman and sponsored by the History Channel. The 15-20 minute film gives visitors a short overview of what led to the battle, and the aftermath. As you leave the theater, your exit leads to the entry of the Cyclorama. This restored 360 degree art installation was first created in 1883. Cycloramas were the "3d movie" of their time, depicting famous events. The Gettysburg battle is dramatized with lighting, music and narration. The base of the painting is built into a diorama, giving the viewer a feeling of being part of the action. After leaving the viewing platform of the Cyclorama, don't miss the hallway depicting how the painting was found and subsequently restored. The history behind the painting's creation and finally finding a home in the visitors center is one of my favorite areas of the museum. Once you leave the Cyclorama, you enter into the museum proper. Where the film painted with broad strokes, the museum tells the story in detail. Historic information from the politics, to the battle plans, and the individual stories of soldiers and town folk of Gettysburg are found. There are places to linger and learn about the history of what caused this turning point of the Civil war to occur.Short movies, dioramas and artifacts all help to tell the story. A visit to Gettysburg is not complete unless you visit where the three day battle took place. Truthfully, you cannot step anywhere in or surrounding Gettysburg without having set foot in a place the battle took place! Gettysburg town center was overrun by both sides of the conflict, with homes and businesses becoming impromptu field hospitals or staging areas for soldiers. Plenty of historic placards help tell about those pieces of the story. The areas where the largest loss of life and fiercest battles raged are outside the town. Simple places names like The Peach Orchard or The Wheat Field tell little of the horrible loss of life that happened in these places. Other's like Devil's Den give a slight insight of what happened to the men that battled there. To help understand the battle, you can sign up for one of the many tours or even hire a private guide. Being a bit frugal, I downloaded podcasts with maps available for free from a partnership between CivilWarTraveler.com and Gettysburg National Military Park. The stories behind Devil's Den were some of the most interesting to me. There are many podcasts on this site, interspersed from throughout the Civil War's battle locations. The primary Gettysburg battles are all included with interesting narration and maps on the site. Besides history, there are plenty of places to dine, enjoy local brews or wines in Gettysburg. As with many tourist areas in our nation currently, there are distinctive local breweries and small wine makers popping up in the region. Part of the fun at these quaint establishments is talking with the server during a tasting about the area, and learn of what makes their beverage distinct. Having a local's insight into the area can be helpful, and may even offer up some information about a local spot off the beaten path. Here were some of our favorites for a bite or a drink in Gettysburg. For pizza, Tommy's is the spot. Hand tossed with fresh ingredients with a nice choice of sides make this a popular spot. Check out one of their specialty pizzas for something with a little more of an interesting kick! For some unique breakfast choices, check in on Lincoln Square to the Gettysburg Bakery. You can of course get your fill of delicious european inspired pastries, muffins and other baked goodies. But - check the chalkboard for the daily breakfast/lunch specials. Their sandwiches are thoughtfully made, flavorful combinations. 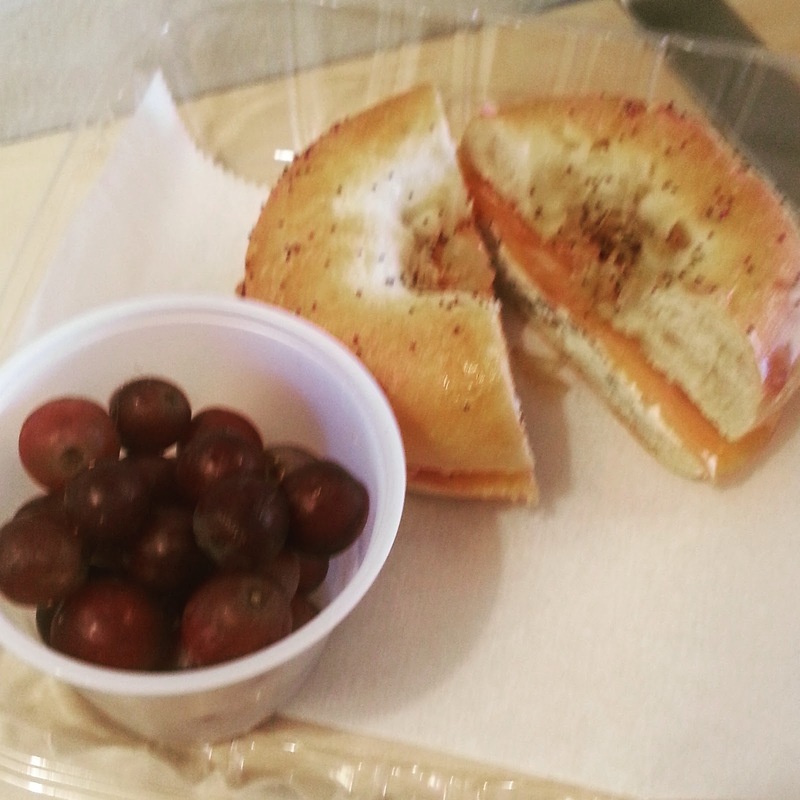 Just thinking of the Smoked Salmon on warm Bialy I had with an accompaniment of fresh fruit gets my mouth watering! Eat there - or take with! Extra points for some great coffee blends - the Ethiopian was a nice morning treat. If you are looking for more standard "fill ma' belly" breakfast fare, then check out Dunlap's. Large Hotcakes, great omelets, good service and nice seating (booths) area. Have to say we went back for a few burgers at lunch and the meal was not as good as our breakfast. 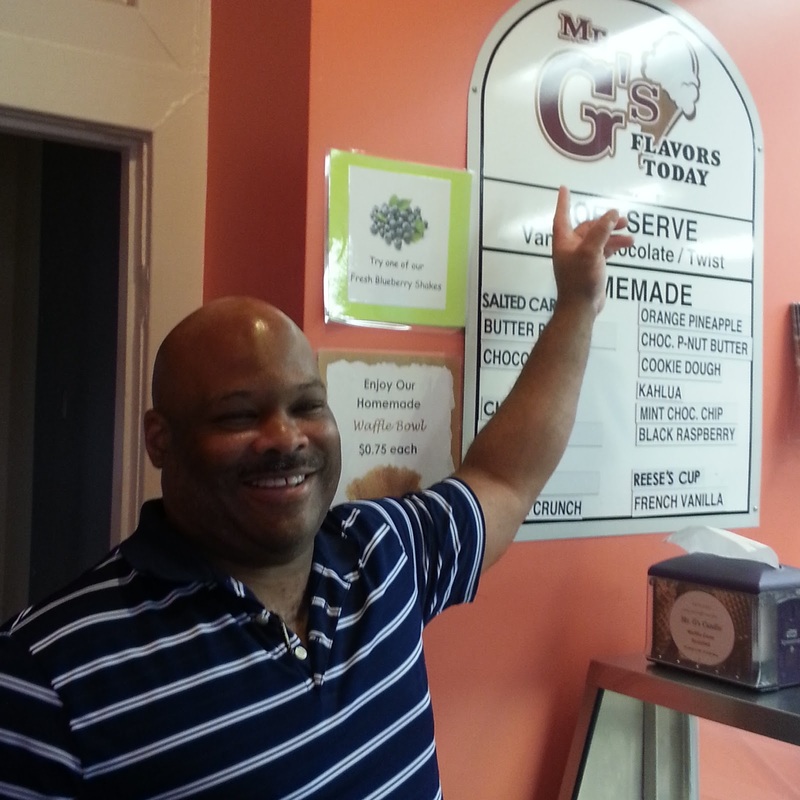 If you have a hankering for ice cream, then of all the choices in Gettysburg - head to Mr. G's for handmade deliciousness. Right by Alumni Park, on the corner of Baltimore and Lefever Streets, the scoops are relatively large, chock full of whatever flavor you choose. There's plenty of seating areas both inside and out. Be warned - there are some interesting period ring toss games outside you may get hooked on before or after having a cone! 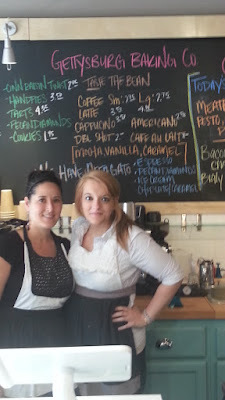 If they have the Salted Caramel on the board - it was my favorite for the weekend - try it! 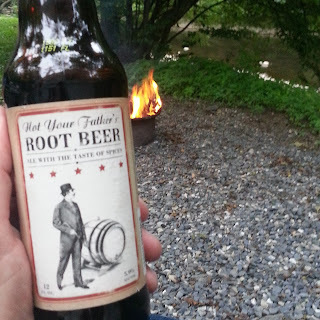 Dropping our camp chairs into the low waters of Marsh creek behind RoadAbode, while chilling with an adult beverage with friends. A few friendly ducks and people on inner tubes floated by and said hello! Breakfast at Gettysburg Baking Company - Fresh ingredients, and friendly staff - located on Lincoln Square in the heart of the towne of Gettysburg. This high-end bakery has been open at this location since January 2015, but has been serving the area since the 1990s. Want fresh and tasty? Check them out! Relaxing behind Reid's Cider House, enjoying the band Across the Pond while sipping Black Bear Cider and picking at a cheese plate. While in the National Park Museum, listening to Ed explain some of the similarities and differences of battlefield medicine from Civil War to when he served our country as a medic. Finding the memorial for Abner Doubleday by chance (there are memorials EVERYWHERE in Gettysburg) after watching the "olde timey" baseball exposition. Grabbing some rolls, brats & cheese at Kenny's Market and having a "weenie roast" over the campfire as the sun set. With it's history, eateries, wineries and natural areas, Gettysburg is a place to kickback and just enjoy. There are more options than just learning about the battle in a weekend. Plenty of tasty restaurants and cafes, eclectic shops and places to unwind are found in this small town. Whatever you choose - you will find something to enjoy. The RoadAbode Crew plans on visiting again! 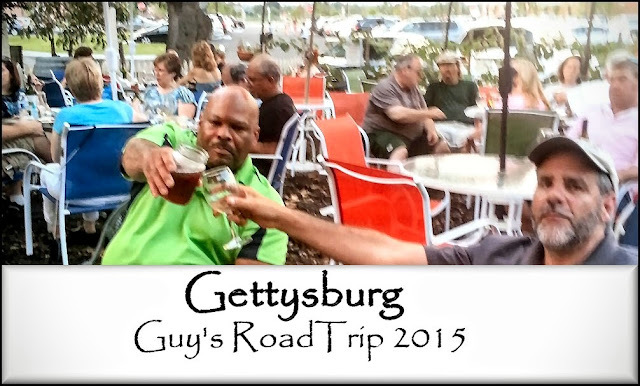 Have you been to Gettysburg? What do you think we missed? What's your favorite place to catch a bite while there? Comment below, we'd love to hear about it! Oh No! I Broke RoadAbode's Toilet!